Paradise Point tops the list of our favorite places to work in San Diego. Once you are inside the resort, you truly feel like you are on vacation! 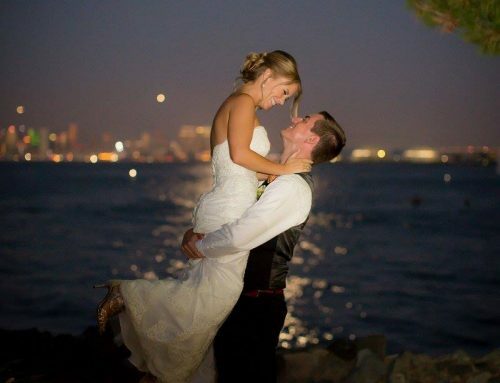 With incredible views to boot, it is an excellent place for a destination wedding. Look at all of this incredible goodness! Her bouquet was absolutely heavenly, and photos of loved ones were tied to the stems. Though the vibe of the day was quite romantic, the aquamarine in the bridesmaid dresses gave the day a tropical feel similar to Paradise Point. This is one of our favorite moments of the day! We absolutely adore how much the bride and groom are beaming during speeches. 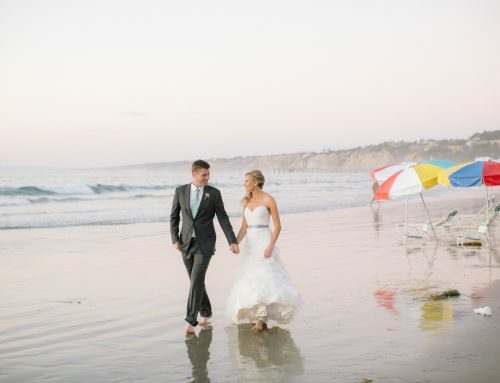 Tiffany and John’s wedding took place in the height of summer–in August. However, how incredible is this backdrop? Just a handful of people enjoying a gorgeous San Diego day. Congrats Tiffany and John! You are a beautiful couple inside and out! Thanks so much for allowing us to share in your incredible day!